Good old Patrick. He did have a way with words. Had he lived today, he undoubtedly would have recognized and condemned the widespread denial and delusion on trading floors and in boardrooms in recent years that sowed the seeds of the financial crisis. And even as the US economy shows signs of improvement, there are still too many people out of work, out of their homes – just out of luck. Not surprisingly, a crisis of trust exists among the American people. In the 2013 Edelman Trust Barometer, fewer than 20% of respondents believe Big Business makes ethical and moral decisions. Fewer still believe Big Business will tell them the truth. Faith in government was even lower: fewer than 15% said they believe the government makes ethical and moral decisions, or tells the truth. While we should remember that the vast majority of corporate directors and officers are honest, decent and repelled by the actions of a few miscreants, unfortunately all of business is sullied by these few. Even companies that were in no way connected to the Wall Street meltdown have lost the trust of some of their employees, customers and communities as they took the necessary and painful steps to survive in a deep recession: layoffs, plant closings, and restructurings. If people believe you are competent to accomplish a task and are committed to achieving it, they will trust you with that task. If you repeatedly demonstrate competence and commitment, an ever-deeper bond can be built. If we examine each of these attributes through the “Competence + Commitment” lens, we can begin to identify the expectations stakeholders have of a company and how to meet them. For example, a company that demonstrates both competence and commitment to product quality would be able to point to a state-of-the-art quality assurance process and a willingness to hold itself accountable for quality metrics. A company that demonstrates competence and commitment to “Innovativeness” hires the best talent and invests in research and development. And, a company that demonstrates competence and commitment to “Management Quality” acknowledges, in true Patrick Henry style, when its performance lags expectations and then defines and implements a plan for improvement. Historically, companies focused on these attributes and demonstrating competence and commitment have fared better over time than companies that have not. Running a business with the interests of all stakeholders in mind and embracing an appropriate degree of transparency are the best strategies a company can adopt. Now would also be a good time to look at a company’s Influencer strategy. As noted, a company can’t declare with any credibility that it behaves in a trustworthy manner, but a third party can. Who are the people that the media turn to for opinions about your company? Is a process in place to reach out to these influencers and create evangelists of them? It takes time to build these relationships – which are built, after all, on trust. Being able to leverage your relationships with these opinion leaders when hard times come can be a major advantage. It’s almost impossible after the fact. Coming out of a crisis, whether a long term financial meltdown or an explosive industrial accident, an understandable desire exists to find the one thing — the preemptive action or bold stroke – that will make the pain go away. But a CEO doesn’t restore trust by signing a letter attesting to financial results, or recalibrating the audit and compensation board committees. These are not bad things to do, but they aren’t themselves the building blocks of a trusting relationship. Yes, trust has been strained, perhaps broken. But, for the most part, we are a forgiving lot. Most of the companies that have been embroiled at one point or another in scandal or crisis have survived — and even thrived in the fullness of time. 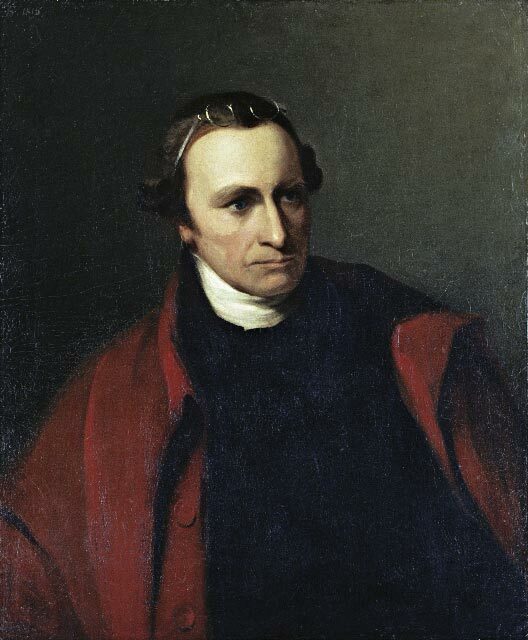 “To know the worst, and to provide for it.” It turns out that Patrick Henry invented Issues Management. Who knew?